So what are the most recent Montreal Real Estate Numbers September 2018? Residential sales rose eight per cent in September compared to the same month last year. 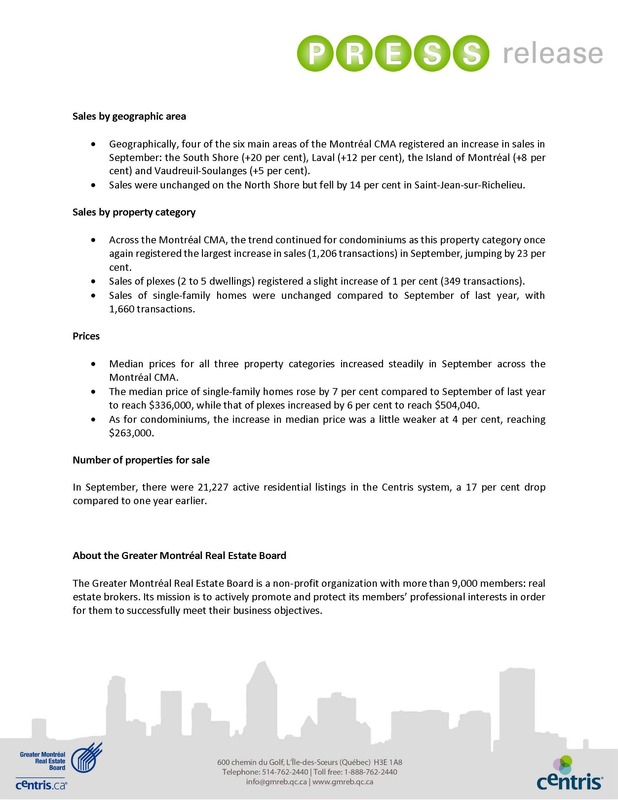 Across the Montreal CMA, the category of condominium sales increased 23%, the most amongst other real estate categories. The number of single family home sales remained unchanged since this time last year. The median price point across all categories steadily increased since last year. Inventory numbers continued to remain low with an overall percentage drop of 17% compared to a year ago. The 3,220 home sales represent a nine-year high for the month of September. The Montreal real estate market is on a roll. 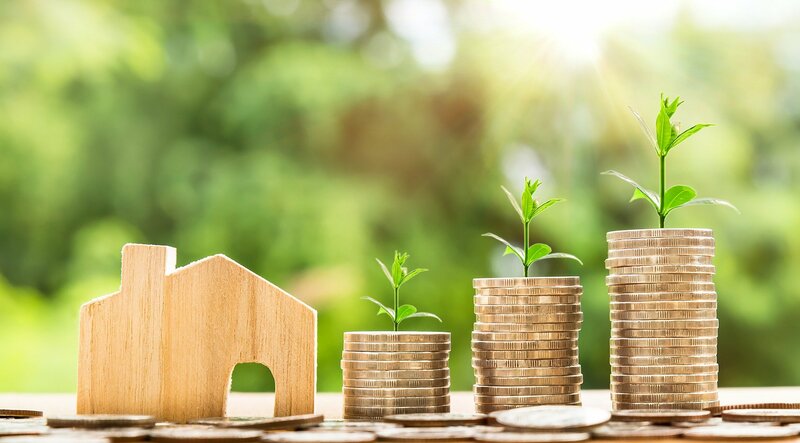 Residential sales rose eight per cent in September compared to the same month last year, with condominiums making up the bulk of the increase, according to the Greater Montreal Real Estate Board. 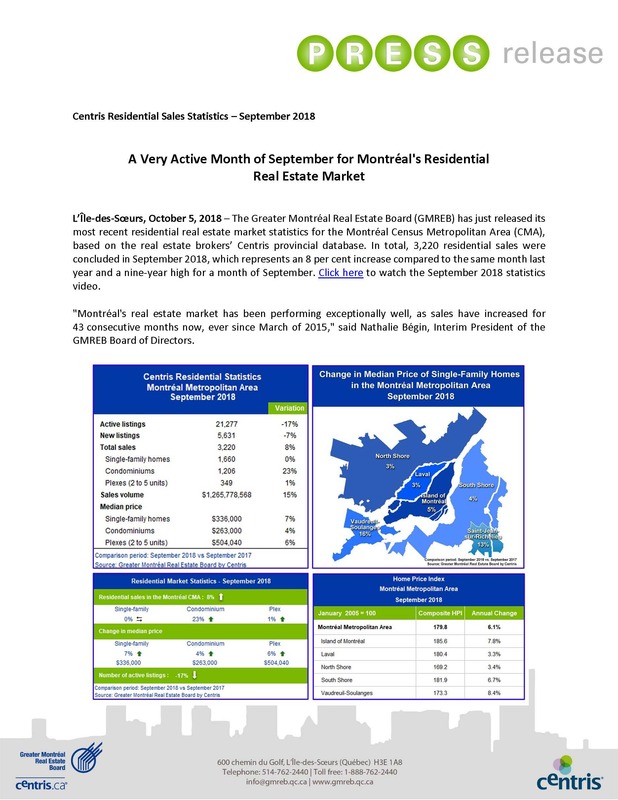 The 3,220 home sales represent a nine-year high for the month of September. Uploaded by Centris.ca on 2018-10-05.